The C1 renders have very large and somewhat flat-looking eyes compared to Creatures 2. Probably because the iris/pupil was just textured on rather than having geometry of it's own. I remember this one. So cute! D: I just love this picture!!! 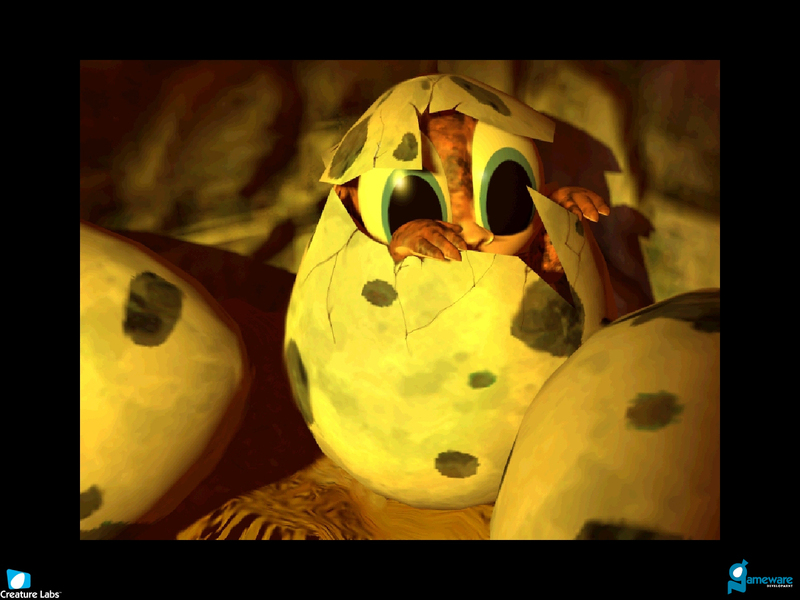 The norn hatching from the egg has always been quite adorable, hasn't it ?